As 2015 draws to a close, it’s time to begin thinking about what is on the digital marketing horizon in the coming year. Marketers with budgets large and small are often unsure of which investments will reap the biggest benefits. To help inform you of the options available, we’ll be publishing a series of prediction posts for different areas of digital marketing. Starting off the series is this post, stock full of paid advertising predictions for the coming year. Below you’ll find insight into some of the key topics and trends that are building steam at TopRank Marketing and will only continue to increase in 2016. Worldwide, social media advertising spend is projected to reach $29.9 billion in 2016, that’s a 69% increase since 2014. While the final numbers for 2015 hasn’t been calculated yet, social commerce was projected to drive $30 billion in revenue in 2015, a 50% increase over 2014. Social media advertising has many benefits for B2B and B2C advertisers alike. We can all expect to see more opportunities surrounding ad formats across all platforms in 2016. From Snapchat’s Two Cent Video Ads, Pinterest’s Motion-Based Ads, Twitter’s Promoted Moments and Facebook’s Dynamic Product Ads, every platform is in a mad dash to out-monetize and the race has only begun. This means more opportunities, which can often lead to confusion. One of the biggest challenges facing marketers is trying to figure out which social advertising opportunity will be the best fit for their business. Budget will still be a major factor in determining which social platform makes the most sense. Social media sites like Snapchat are extremely popular for advertising, but the entry fee is amazingly high. 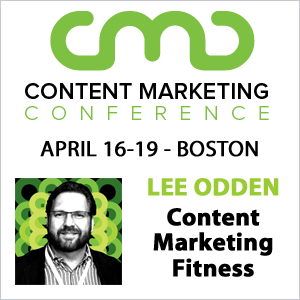 As competition heats up for advertising dollars, I expect to see some of the cost barriers to some of the “It” social properties start to fall and become more accessible. While social media as a sales channel is increasing, we’re also seeing it similar growth from a lead generation and nurturing standpoint. We’ve had on-going amplification programs running for the past two years on several channels, primarily LinkedIn and performance keeps getting improving. If you have news, paid social is the best bull horn for your dollars. It is estimated that 74% of internet traffic in 2017 will be video. In 2016, companies should begin planning on increasing video advertising whether they’re looking at promoting videos via native advertising on Instagram or Vine, or in-stream/in-display video ads on YouTube. We’ve already started to see budgets shifting from standard search to video based advertising for several clients and it’s a trend that is only going to keep growing. Video can be a hard nut to crack for marketers. Not all videos are alike and creating a video, especially for B2B companies can create some unique challenges. Video is a relatively young channel and so is the audience. We’ve had many clients produce videos and come to us for amplification thinking this would be great fit for YouTube but are disappointed when their in-search numbers are low. For B2B advertisers it’s time to start looking at layering in big data. Account or persona-based marketing creates for a better level of targeting. All major platforms have increased their targeting options this year which is fantastic. But the real shift I’m seeing is clients starting to embrace Demind-Side Platform (DSP) and automation. From Native DSPs like Taboola to old standbys like Rocket Fuel and emerging Account-Based Marketing (ABM) platforms like Terminus and Marketo’s new offering around ABM are making big waves but micro targeting needs micro content for it to successful. Expect to spend more money in 2016 for increased targeting and automation. But always make sure that you have the content to make the media expenditure worth your while. Every so often I hear or read someone saying that keywords are dead. However, AdWords has been beefing up their dynamic search capabilities and if it’s on their radar, others will be following shortly. With better indexing and new sub-categories, dynamic search is become less of a guessing game more predictable. Dynamic search requires a technically, well structured website and high quality content. All marketers should have an eye on integration but it appears as though Google is going to start forcing our hand. With Google controlling 65% of the search share, now is the time to ensure that you are deploying an integrated digital marketing strategy. 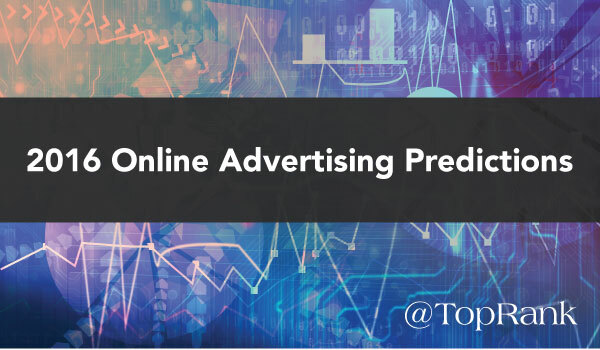 What Are Your Paid Advertising Predictions For 2016? Based on our predictions, social and video advertising, targeting and an integrated strategy will be essential parts of a successful paid advertising strategy in 2016. If you need help creating a successful paid strategy for 2016, contact us for more information. What trends are you most excited to explore in the coming year? You sure you don’t mean billion? Those numbers don’t sound impressive at all.